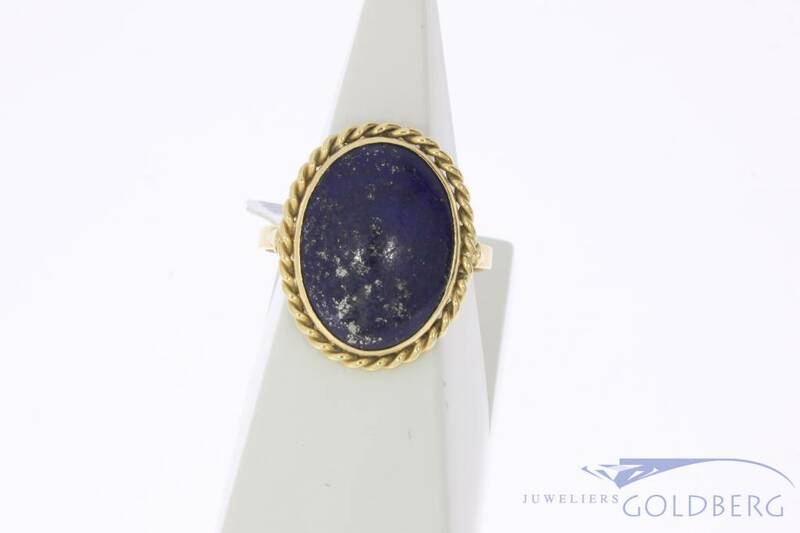 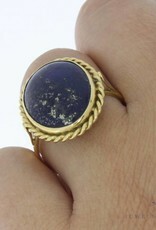 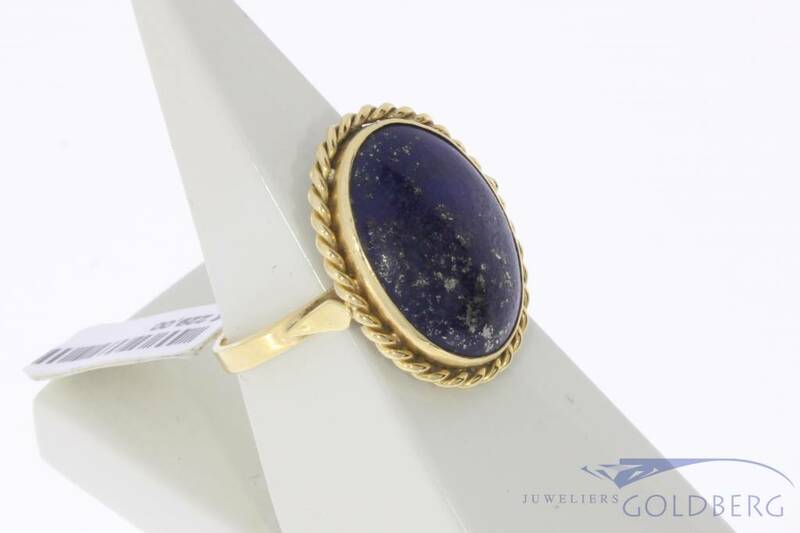 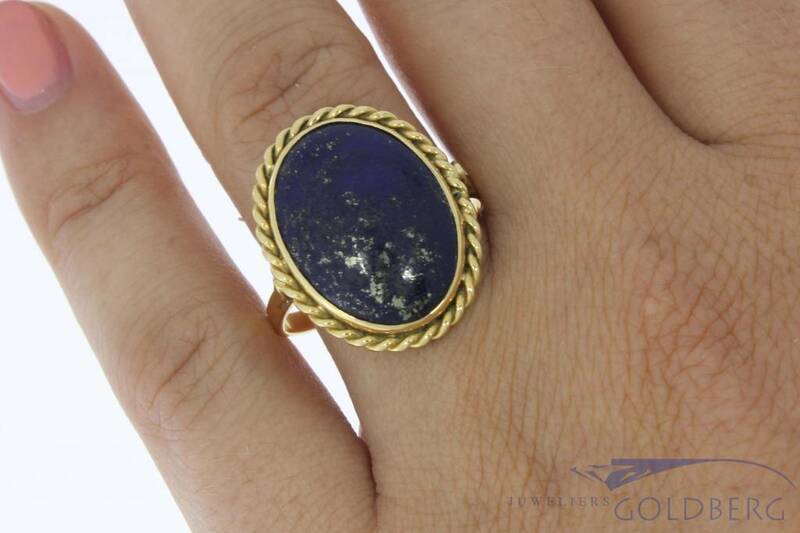 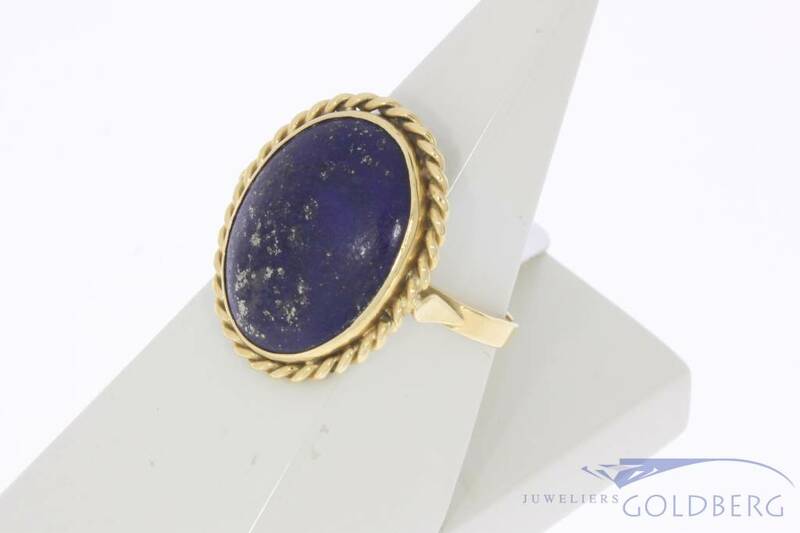 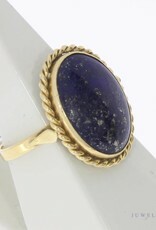 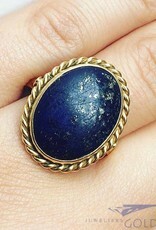 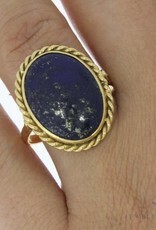 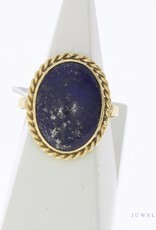 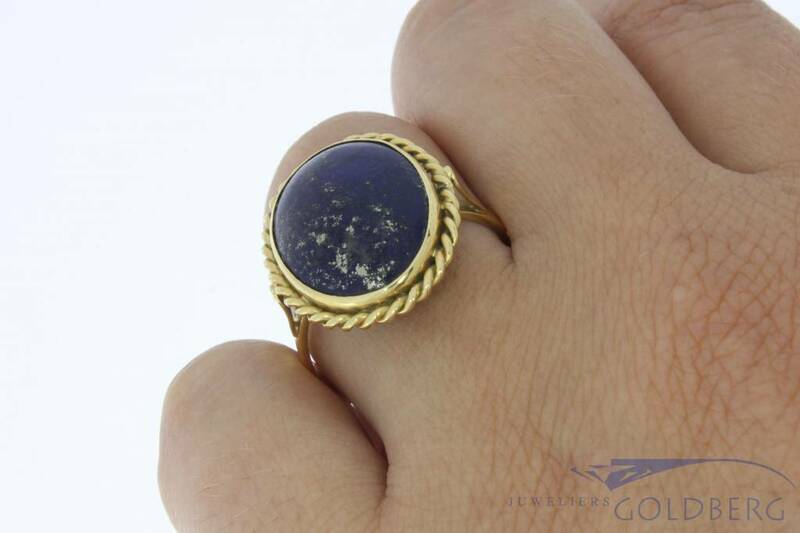 Gorgeous and very special vintage 18 carat gold ring, inlaid with a large Lapis Lazuli. 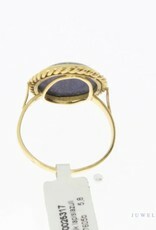 The gold is beautifully crafted in a rope motif. 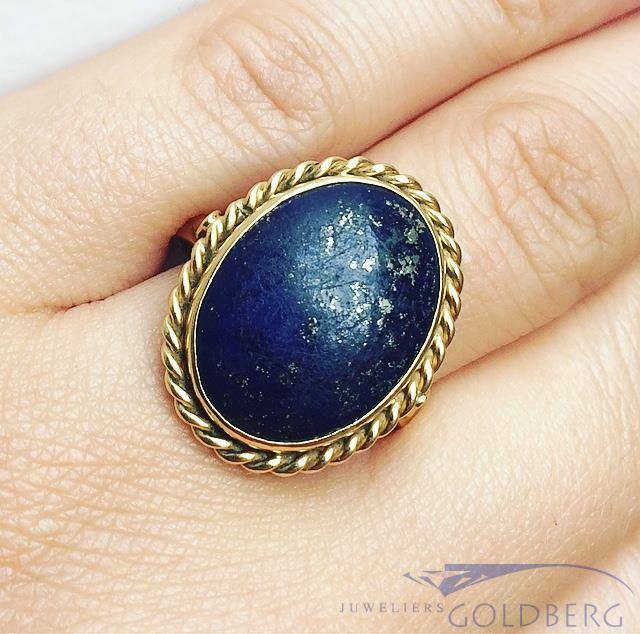 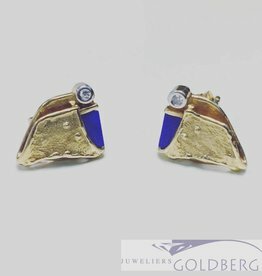 The small golden spots that can be seen on the stone are not a sign of damage, but belong to the structure of the stone Lapis Lazuli. 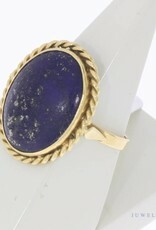 The length of the oval ornament with Lapis Lazuli is approx. 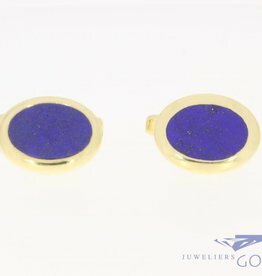 22.95 mm, the width is approx. 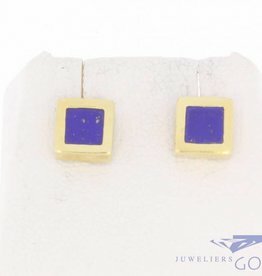 19 mm and the height is approx. 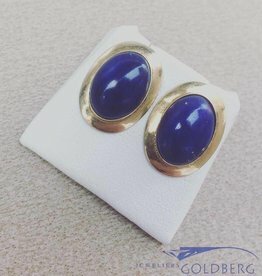 5.85 mm. 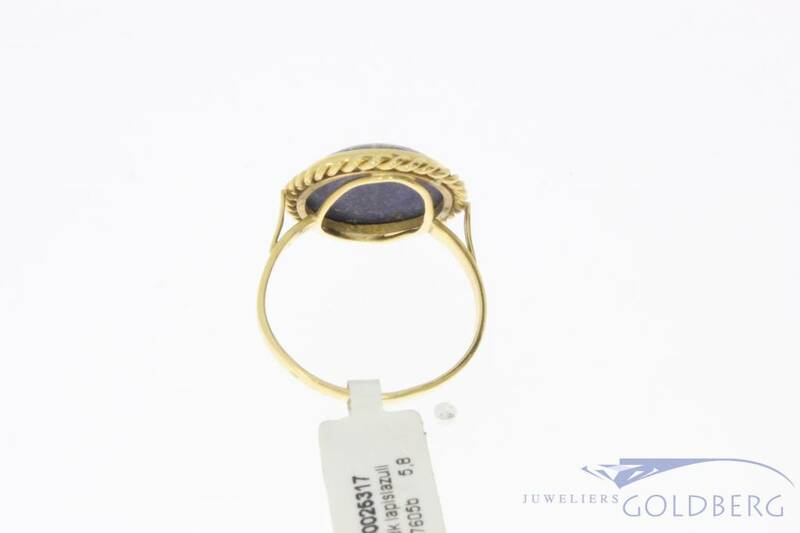 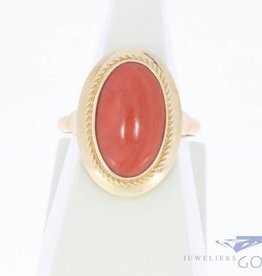 The ring size is 19.50 / 61 and the weight is 5.8 grams.